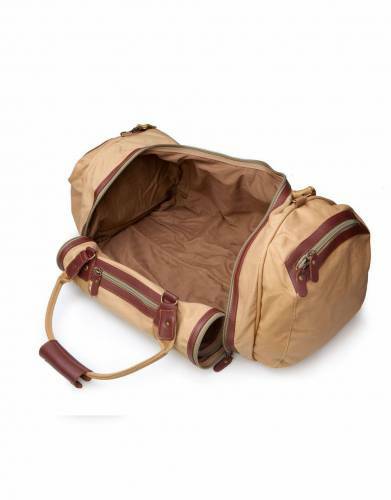 Designed to withstand the rigours of African travel, this bestselling soft and squashy bag combines ruggedness and practicality with luxury and style to set the benchmark in safari and travel luggage. 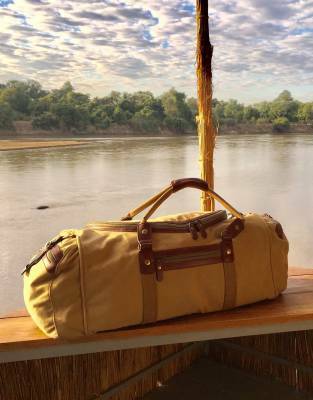 Designed to withstand the rigors of African travel, this bestselling soft and squashy bag combines ruggedness and practicality with luxury and style to set the benchmark in safari and travel luggage. With the strict luggage limitations of African travel our foremost concern, we decided to design our own luggage range. 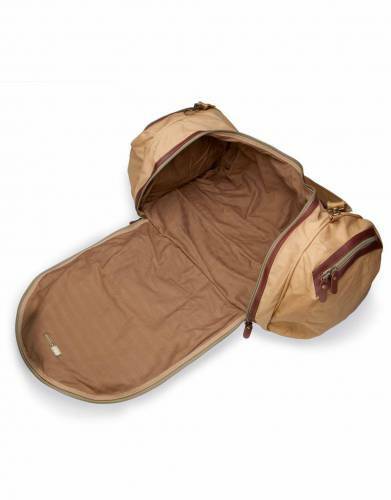 Being sticklers for quality, it wasn’t enough for our luggage range to meet the 'soft and squashy' requirement alone. We also made sure we designed a range made from incredibly strong canvas and cowhide that looks incredibly good too. 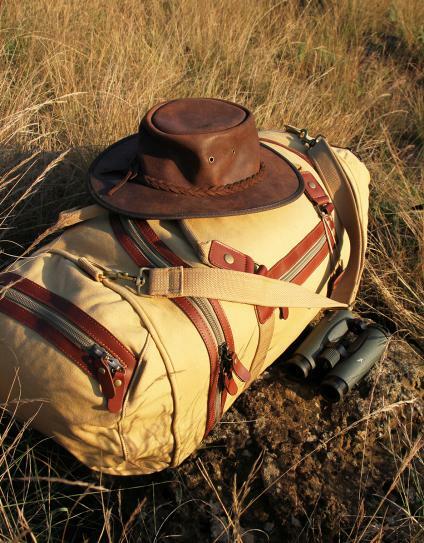 The Rufiji™ Safari Explorer sets a new standard in safari and travel luggage. 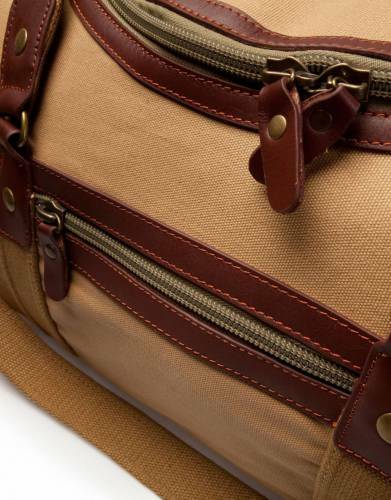 Superbly made, this is the bag to take to Africa and is the perfect mix of luxury styling and rock-solid construction. 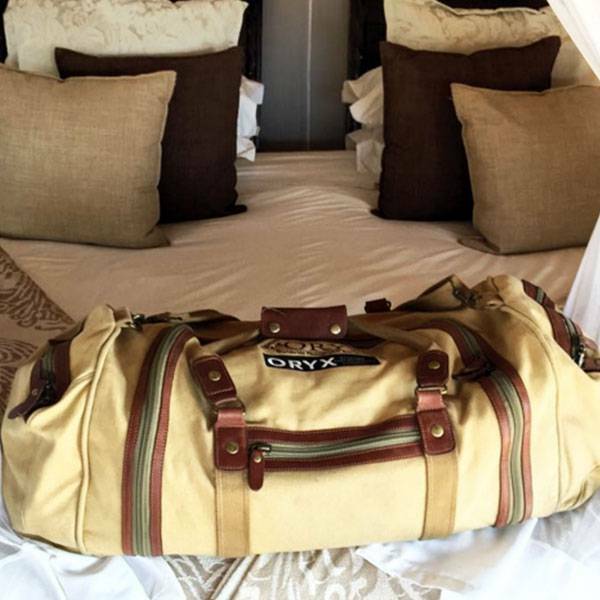 The soft sides of the bag allow it to adjust to the amount of clothing and gear you want to pack for your safari. 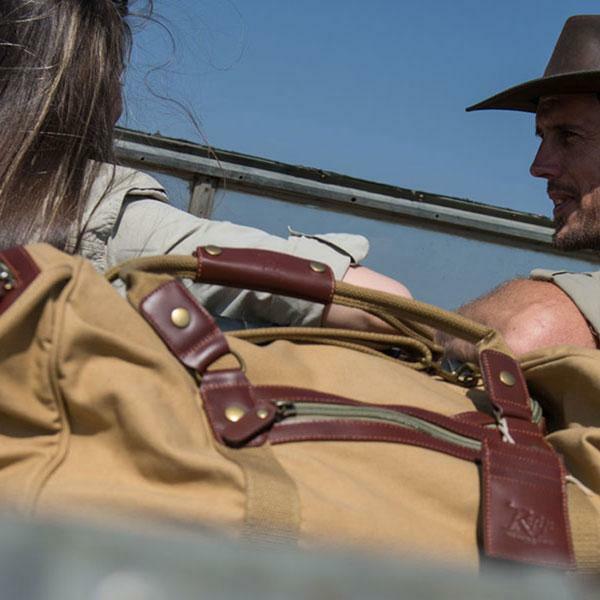 You will be impressed by just how much safari clothing and gear you can fit into the bag, which almost seems to increase in size the more clothing you add. While the bag still has the horseshoe-shaped zip to allow for ease of packing and unpacking from the cavernous interior of the bag, we have remodelled the side of the bag to include a second zipped side pocket, curved the leather at each end of the bag to match the smooth curved lines of the bag itself, and we have included unique lockable zips on the end pockets and on the main compartment rather than D-rings. The bag is fully lined and now has four zipped outer pockets (perfect for keeping smaller items separate), carrying handles, and an adjustable/removable shoulder strap. Soft, squashy, strong, and stylish too - this bag is the perfect partner for your adventure. Why do you need a 'Soft and Squashy' Bag for Africa? 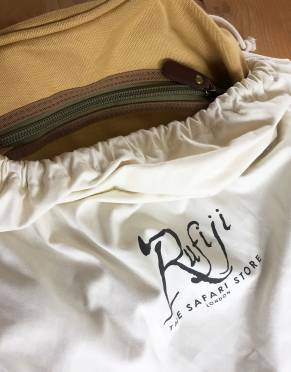 We probably don’t need to give you another reason to want the Rufiji™ Safari Explorer, but we thought we would give you some more information on why this bag is ideal for Africa. The main catch phrase you will hear your tour operator use when you ask the question, "What type of bag should I take?" will always be, "Soft and squashy." While we would change this to, "Soft, strong, and squashy" the reason why taking a bag with soft sides is so important comes down to the strict luggage limitations of African travel. Many tailormade safaris include, at some stage, a scheduled charter or fully chartered flight. The aircraft used for these charters will usually be (and we include this for the plane fundis): Cessna 206, Cessna 210, Cessna Caravans, and Twin Otters. On these planes, the luggage hold is cramped and small, so your pilot will need to be able to 'squash' your 'soft' bag into the tight corners and confines of the hold. Keep in mind that you will often be sharing these flights with others and so the pilot is tasked with fitting everyone's luggage into the hold. The weight is also important. The bush landing strips which serve the lodges are typically short, so overloading the plane with luggage is not an option as this would affect take-off and the handling of the aircraft. The NEW Rufiji™ Safari Explorer weighs just over 2kgs. Should you arrive at the airfield with a monstrous, hard-sided suitcase, the pilot may find a place for your bag on the plane if you’re lucky, but he or she is more likely to tell you that you will either not be able to fly or that you need to charter a separate plane for your luggage. The hardy construction of the Rufiji™ Safari Explorer is also important. We have had clients lose their luggage off the back of a Land Rover in transit to or from an airfield. We took these kinds of experiences into account during the design process. Our bags are made to take a beating. 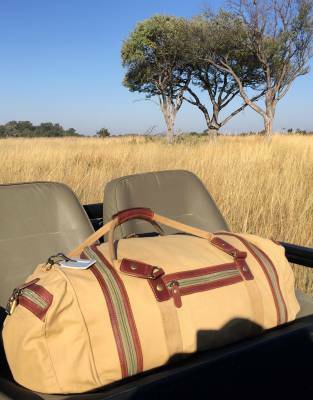 A note about luggage handlers & ground staff in Africa: We stand by the quality of the construction of our leather range and the quality of the safari-grade canvas and leather we use to make our bags. 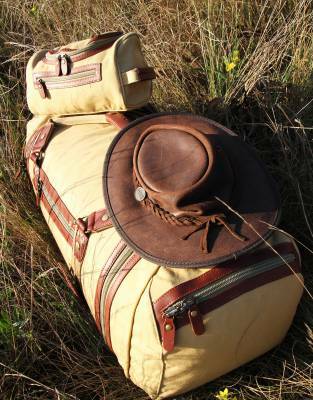 We have also expedition tested all of our canvas and leather luggage so that we know just how tough it is. Leather and canvas are, however, fabrics and, as with all fabrics, they have their limitations. While cases are few and far between and we have not experienced puncturing on our own safaris and expeditions, fabric, by its very nature, is able to puncture or tear if subjected to force, sharp objects, if thrown along an abrasive surface, or other forms of harsh handling. We urge any clients who have their luggage damaged by luggage handlers & ground staff to contact us for a quote to submit to their travel insurance to make a claim. 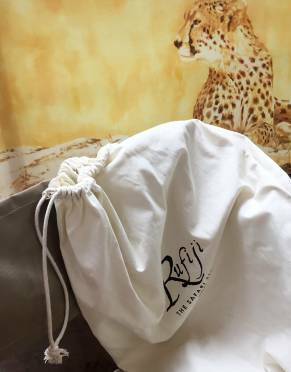 Your Rufiji™ luggage is packaged in a re-usable canvas drawstring bag. At The Safari Store, we are working hard to eliminate plastic from all of our packaging. This forms part of our commitment to a green future and the preservation of the environment, so future generations can enjoy pristine natural spaces. ⊙ MATERIAL: These bags are beautifully made from 100% safari canvas and cowhide, making them tough enough to endure the rough handling and unique challenges of African travel. 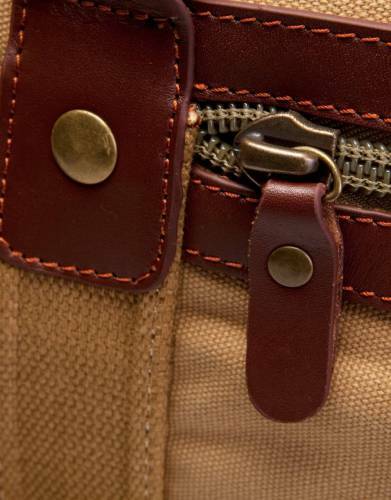 ⊙ DETAIL: The new Rufiji™ Safari Explorer is fully lined and now has curved leather at each end of the bag which complement the curved lines of the bag itself and for added durability. Four zipped outer pockets are perfect for keeping smaller items separate. ⊙ STRAPS: The handles are made from thick woven canvas with padded leather tabs and the bag comes with an adjustable/removeable shoulder strap for comfortable carrying. 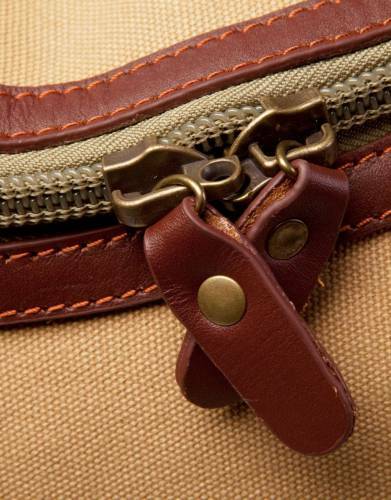 ⊙ ZIPS: The large horseshoe-shaped zip makes for easy access of the main compartment. The durable zips have leather tags to make zipping and unzipping easy on the hands. Rather than D-rings, the bag features unique lockable zips on the end pockets and main compartment, which can be easily secured. 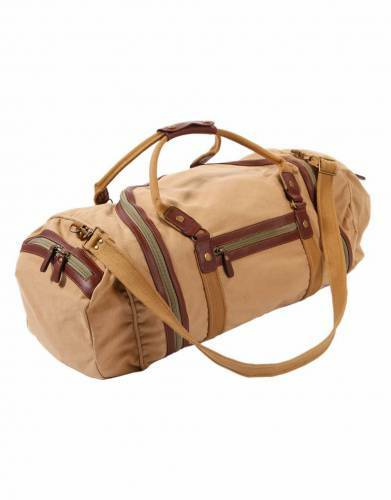 ⊙ MATERIAL: These bags are crafted from quality safari canvas and cowhide. The bag was absolutely perfect for our safari. We bought 2, one each, and it was great for our 2 week holiday and easily took all we needed. I even managed to get some souvenirs in too. Really excellent quality and very stylish too. Highly recommended. We needed soft luggage for our flying Safari in Kenya, December 2017. 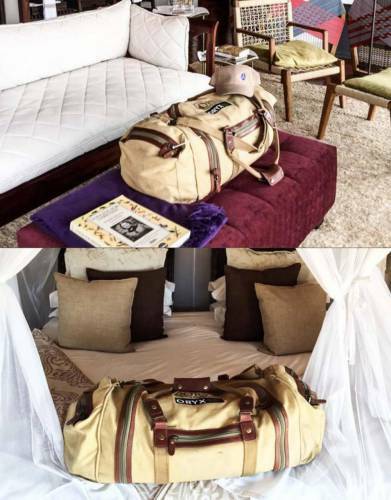 We were unsure if this bag would fit in our suitcase but on asking The Safari Store they sent us a picture on the bag flat for packing, so we ordered 2 and we could not be more happy, with plenty of space for all our clothing and more, being very light we had no problem being overweight. I had to get asquashy bag due to interconnecting flights on small aircraft. This bag fitted the bill admirably carried all my clothing and some extra photographic gear safely and securely. There was plenty of room with end pockets very convenient for all those electrical bits and all those other bits you need in a hurry. Highly recommended.